As laptop manufactures pack more and more pixels into their screens, the question of "is it worth it?" arises. In most cases, an Ultra HD laptop will look absolutely gorgeous, but that doesn't translate to it being useful. There are some serious trade-offs, including price, a lack of 4K content and performance that need to be considered before spending the money to move beyond 1080p. When it comes to clarity, 4K could knock 1080p from the top of the hill as the new resolution king and replace it in the coming years. Increasingly, devices of all shapes and sizes have taken the next step to go beyond traditional high definition, but as these screens go beyond the limits of traditional high definition, you may be left asking, is a 4K laptop right for me? As far as resolutions are concerned, most people would agree at first glance that higher pixel density will give you a clearer picture. But according to Dr. Bryan Jones, research assistant professor of ophthalmology at the University of Utah, this is only true "to a point." "Assuming that you are sitting at 30-inches from your display and your eyesight is 20/20, any more resolution than about 220 pixels per inch is going to be indistinguishable," he said. The two most common screen sizes for 4K laptops are 13.3- and 15.6-inch. At those sizes, pixel density exceeds the 220 ppi density by roughly 60 and 110 or more pixels per inch, meaning all those extra pixels no longer add anything to what the human eye can perceive at a normal laptop distance. "If your vision is less than perfect or you find yourself sitting further away from the screen, the pixel density can be far lower [before noticing a difference]," Jones said, down as far as 90 ppi per inch, or even lower if you are "sitting on the other side of the room watching a movie." Jones added another thing to note is "there is more to 'how clear' an image appears than just resolution." Brightness, contrast, color fidelity and viewing angle all come into play. No amount of pixel density will compensate for poor color. One of the main reasons laptops even exist is because they're portable, which means that they run off battery power as needed. If you're the type of laptop user who shuffles from meeting to meeting or to several different locations with your computer tucked under your arm, battery life is a serious concern. Somedays it's not easy to predict when the next chance to plug-in will arise, which makes battery life an important part of any laptop discussion. The power required to push a QHD or 4K display is higher than that of a vanilla HD screen, which naturally leads to a decline in battery life. In our review of the MSI GS60 Ghost Pro 3K gaming laptop, which is actually a 3K machine, we lamented its lackluster battery life. In our tests, the battery went flat in just over two hours. 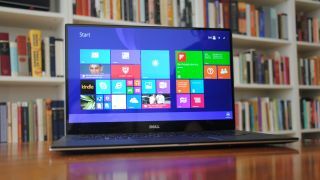 In fact, poor battery performance seems to be the common thread among the laptops we've reviewed. The Toshiba Satellite P50T only lasted 2 hours and 40 minutes on battery, and its power-saving screen-dimming feature while on battery makes the computer virtually unusable outdoors. Pushing more pixels in a display isn't the only added stress on battery life. The power necessary to output such pixel-packed visuals means most high resolution laptops require discrete graphics cards rather than integrated graphics. The need for a dedicated graphics card means the computer will naturally require more power than a laptop with integrated graphics.